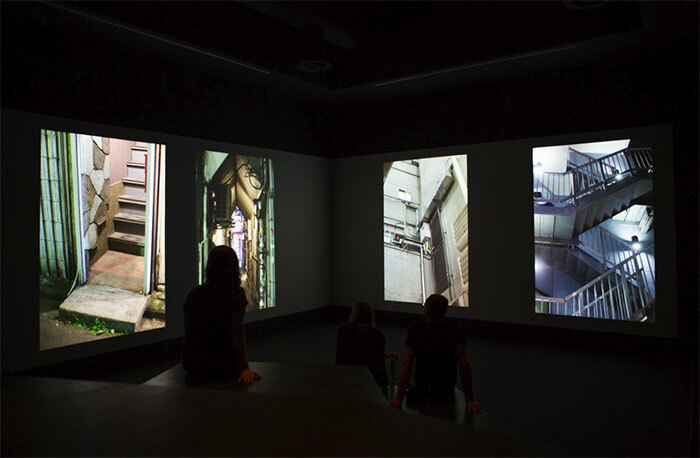 Book for Architects is a dual-channel projection by Wolfgang Tillmans. It is located within the central pavilion at the Venice Biennale. The piece is tucked away down a dark hallway and diagonal from the entrance hall with a secondary entry located behind within the Elements of Architecture. It is easy to miss but well worth searching out. Like most of Tillmans’ work, Book for Architects is a carefully curated collection of photographs tied together by subtle matches of texture, color, or other formal or psychic properties. The primary content of the collection features street scenes, architectural details, façades, objects, interiors, and landscaping. Relatively few people appear in the photographs, but the signs of their existence are everywhere. Tillmans’ is quick to point out that he was not interested in creating a typology with this project, rather he is interested in presenting a feel for the urban and architectural experiences of place. His keen eye for detail shines through in this massive selection of photographs. He is often a Biennale participant and his chosen format feels right at home. The city he creates through his selection is atemporal. His photographs were taken over the past ten years, but there is little in the way of identifiable markers of exactly when they were taken. The city they depict is neither visibly old nor new. Neither is this city particularly beautiful nor ugly and particularly recognizable landmarks do not appear or are avoided. 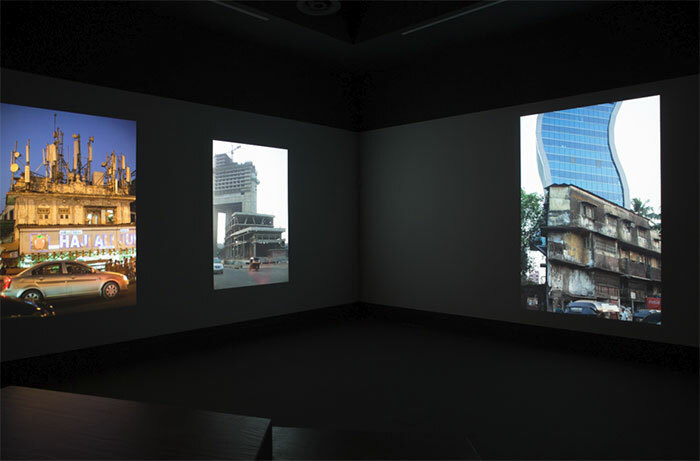 Tillmans shot in thirty-seven different countries across five continents, so it is also not surprising that his aggregate city could really be anywhere. His most touching images are little domestic details like bathrooms and kitchens. He has built his career on his knack for noticing the things other others do not. The urban fabric itself is as layered as his photographs, piled upon layers of historical and micro-historical styles, locations, vernaculars, and particular geographies. At around an hour running time few viewers would probably sit through a non-narrative slideshow, but like most video art one can come and go as you please. Tillmans’ strength is that of a singular vision, just a man and his camera in cities around the world. Book for Architects highlights what Elements of Architecture generally lacks: a coherent vision. One may be pleasantly surprised to learn more about the state of architecture from a slideshow of photographs than from the other carefully prepared exhibits. Book for Architects also provides a much needed respite from the heat of a bright and hot summer day in the Giardini.